Ok. I'll spill the beans. So I was talking with FP today and they said I could spill the beans about the Botcon 2009 exclusives. Apparently, due to a constant stream of demands, they've caved in and are going to do a full set of exclusives with a truck theme. 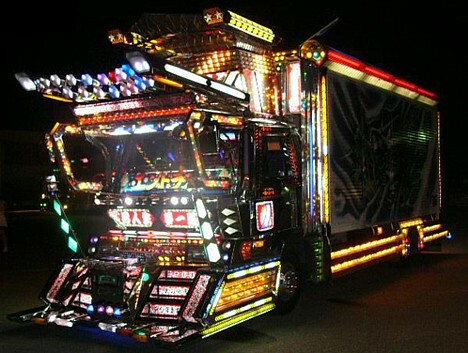 And not only will it be a truck theme, they'll all have special Japanese Dekotora paint jobs and retooling! I for one can't wait for these. Jason,dream on. Hasbro would NEVER actually try to satisfy collectors. We already got one of these, if a very mild one: RiD Magnus. This page contains a single entry by Nala published on March 2, 2008 9:44 PM. Torchwood: Reset was the previous entry in this blog. No toys to be found. is the next entry in this blog.